Year 2008 is coming to its end. We have voted 9 of the best and worst apartments/condominiums in Johor Bahru from over 20 candidates for their “must-know specialties”. Surrounded by 3 highways – Tebrau Highway, Skudai Highway and JB inner ring road, Wadihana is located in kampong Wadihana – centre of the triangle of the 3 highways. “Perfect location”, surrounded by kampong, you will even get “rooster” giving you a wake up call every morning. That will be an extra you will not get in city living!!!! So near yet so far!!!! You could see Pulai View from Skudai Highway, yet it is impossible to get in directly (from City or Skudai). You would need to make an U-turn 2km away (which is about another 10 mins) from every direction in order to enter into it. Otherwise, you have to take small roads from Angsana Plaza or Tampoi Indah. Thanks to the designer of the “head-spinning” Perling Flyover – “Another Project by BN”. Besides its large compound and good management, every 8 units in each floor of Sri Wangi are served by 2 spacious lifts with security gate at the entrance of ground floor (small point, it makes you feel like you are a jailbird getting out of the lift), making its residents the most fortunate apartment residents – although surrounded by several pretty run-down apartments like Lily & Jasmine, Sri Kenari and Park Avenue. Truly a rose among the thorns! 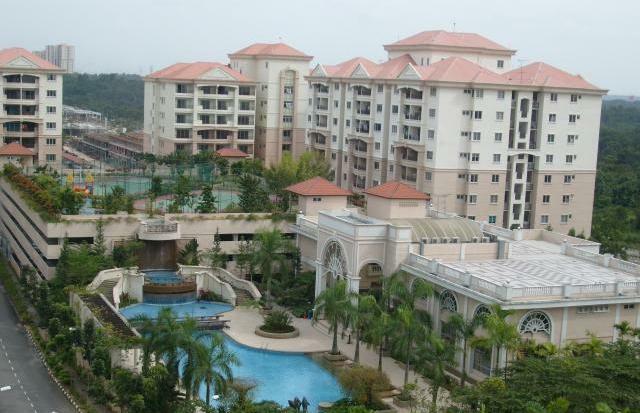 Sri Kurnia is situated in one of the high class estate in Taman Pelangi. Although it has less than 60 units only, the management seems to have difficulty in managing this apartment with its super-small compound. Imagine, how would you feel if you see a main gate that still requires human power to open for residents and visitors? 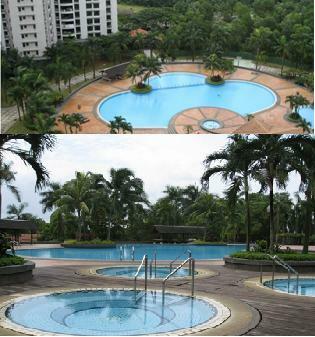 Straits Views has more than 3 pools as shown in the pictures. We found its compound for common facilities to be the biggest among all condominiums we have seen in JB. If you are wondering how small a swimming pool can be for a condominium, you should visit Embassy Suite. Allegedly its swimming pool can only accommodate a family with 3-5 kids! Can you imagine the residents still have to share this pool with a budget hotel operating inside the condominium! Take a look at the picture and you can understand our sentiment. Sigh…. Bistari Impian is the only apartment we found to be equipped with childcare centre just at the door step. Also, there are 2 primary schools (one Kebangsaan and one Chinese) within walking distance. To top the list of leniency, we have to hand it to Bistari Impian. Anyone can get in and out without being checked. In fact, anyone can just enter into the apartment by waving hand to the guards in guardhouse – no ID is required from visitor. So, don’t expect you will be given a permit. Just drive straight through! Also don’t expect you can find out who has just moved in recently because the guard house has no record! 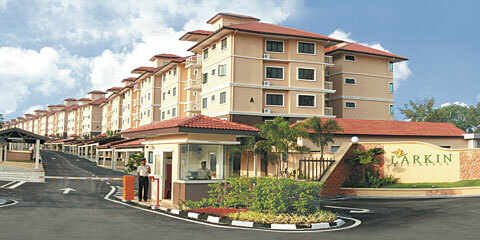 Prima Regency is the only condominium with so-called “3-tier security” – main entrance, building entrance and lift. If you happen to drop by in the evening, you will even see more than 10 security guards assemble in neat form in front of the management office for their daily briefing. Recently I saw from some web posting that Danga View Apt has changed the leased hold to free hold, reason given: the JB gov wants to attract foreign investment? Anyone has any opionion on Molek Pine in Taman Molek? Is that a good Condo project – for investment or own stay? Yeah Danga View Apt has been changed to freehold. I think build quality is really inferior at Danga View. Viewed one of the unit and there was water leakage here and there, a lot of cracks on walls of main building and it seem like there was imbalance sinking of land also, and it has only been like 5 years? Molek Pine is targetted at luxurious condo population with high quality facilities etc. However I find its location neither here nor there to be a good condo investment, own stay is fine though. Anyone has any thought on Stulang View and Wadihana? Do you think Tanjung Putri Condo at Stulang laut is worth investing in? Any thoughts on this condo and location? I’m interesting in buying a unit at Sri Samudera (high floor – 700sf) selling at 286K and Wadihana condo (high floor – 1800sq) selling at 380K. Can you advise me which one is worth for investment? Any recommendation for other condo in Johor Bahru? pls call/sms 012-7349007 Mr Chan for assistant,thks. I just bought 2 unit lower floor face to face unit at Aloha Tower around 300k+/unit, I really like the location 3 minutes walking distance to Primary School and also Secondary school. good management and facilities. Good rental return 6 to 8% after deduct maintenance fee and sinking fund. still looking for others investment? hi, why is the best and the worst in 2008 and not updated? the new and bad service with low quality material. Lagenda tasek, balcony leaking, aricon pipe leaking due to construction, toilet drain cover ,door lock everything spoilt. and the worse service is that the management promise to repair but never response again. I am also interested in this condo. It is near to Woodland custom and lesser unit which is not so congested. The design wise is not bad too. I think it is worth for own stay and investment. What do you think? Hi… I am kind of interest with Larkin Residence Club House and to purchase a unit for my own stay. What is your comment of Larkin Residence? Phase III is under construction at the moment and aim to complete in Dec 2012. I was informed it is leasinghold and only left with 88 years. What about nearby apartments / properties? Lease or freehold???? Thanks…. Do u interested Bestari impian at Larkin? 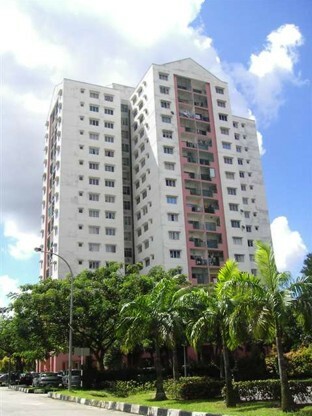 2 units want to sell..
Pls call/sms 012-7349007 for assistance or viewing,thks. Are u a property agent ? Any good unit for investment ? Can anyone comment on Palm Garden Condo in Jln Mariamah? Are the condo management and rental yield good? Palm garden appear to b quite run down from the outside. Moreover, there are quite a lot of units under auction. The units are generally at least 2500sqft. Although PDF is quite reasonable, the mthly maintenance is quite high. Consider frinza although it’s a walk up. Value for money. Hi Bruce, do you have any input as to why there are many on auction? how much is the maintenance fee exactly? is the facilities well maintained? There are quite a lot of vacant units. Not too sure why. Go and drive past Palm Garden and you can see that the exterior walls are mouldy, dirty and not well maintained. At night, only few miserable units are litted, indicated very few occupied units. Location is superb but too bad, it seems to be a badly managed premises. Hi, anyone have any comment on Embassy Suite for own stay ? Is it a good investment here ? Security passed ? Thanks for sharing….. If not, which apt/condo is best recommended near JB custom ? You should consider Sri Samudera for own stay! Hi. I thought of buying a high floor unit at Stulang View Condo for RM420k in Taman Pelangi, primarily for location, easy access to transport, food etc. Any idea how is the maintenance by the MC? Thanks. JUST CURIOUS – HOW MANY SQUARE FEET FOR RM 420K? I DON’T KNOW THIS PARTICULAR CONDO. Hi, am relocating to JB from KL.. Can anyone recommend the best and safest condo near causeway link to Singapore please? I would have to hand this one to Wadihana Condominium. located just 5 minutes drive away from CIQ and easily withink 10-15 mins walking distance to CIQ. Only the new apartment that has not been TOP since completed one year ago right beside CIQ can beat its location. Well, I know people who does that. And sometimes I see ppl who does that too. 15 mins of walk is the norm for all who works in Singapore. Anyone knows about “Casa Tebrau” ? It looks nice . Is this a good investment/place to live? I stayed at Sri Kurnia (Maju Condo) previously & I can tell u for one – u are not getting much for ur money. There are a few ‘pioneer’ residents who were there right from the beginning & the last I heard was that they have come together to form a resident committee to manage the place. However, this could mean that the maintenance fund could be used as deemed fit by the committee. No gym, filthy pool, but they managed to scrap together a ping-pong room in a poorly-lit former lounge area. Consider Stulang View instead if u like Pelangi. Yes, ur right..I went to look at Sri Kurnia apartment, units quite big but the place/corridors looks old and not well lit, the swimming pool is just next to the Guardhouse/Main gate (how horrifying to have the guards and people going in/out ogle at you or your teenage daughters in their swimming suit!) and the corridor walk towards the pool is quiet, dark and doesn’t look very safe (unless you want to walk from the front door, right in front of the guard house in your swimming suit!). At that time I viewed (Early 2010), they were asking for RM265k for the unit. Plus point:- Big units, location,freehold, price. Minus point:- Small common area (doesn’t feel like a condo), not well maintained, old, dark corridors to everywhere (to unit, to swimming pool etc), no gym, playground, tennis. clubhouse etc.. I considered Stulang View instead… I liked the feeling the minute I entered the condo..although its very near the main road, near shops & easy access to transport, Giant, pasar malam etc. its surprisingly very quiet and peaceful inside, with sounds of bird chirping.. Units also large 1,690 sq feet, bright, cheery and airy, freehold, close to food and transport & hypermart yet quiet and peaceful…has a resort-like feelling..Now they are re-painting exterior, looks much better! But prices have gone up a lot recently..when I enquired early last year was abt RM400-420k for high floor units, now advert askg for Rm480-500k for higher floor units. I’m looking for apartment/ condo for investment purpose. u can look for prima regency at masai. there 3 room apartment cost about $210k to $260k. the current rental return is about $1.6k. and their maintance is well kept. can any one tell me about pan vista apartment ? Hi, anyone have any comment on pulai view or danga view for own stay ? Is it a good investment here ? Security passed ? Thanks for sharing…..
Any comments on perling heights? anybody know about the condition of Tanjung Putri Condo in Stulang Laut ? The security wise ? Is it worth investing for own staying ? hi , anyone also buy D’ambience condominium? any comment? izit permas jaya very far to CIQ? Hi I am keen in Tanjong Putri Condo too. Is it a good investment? Noticed some positive comments on Aloha, but frankly the building exterior looks rather old. Any comments why do you all think it is good? I’m looking for a fully furnished studio apartment to rent around CIQ or KSL City. Anyone has such a unit to let? i’ve been in johor more than 5 yrs, from the beginning when i first came to JB, i rented master room, the longer i stay in jb i begin to rent a whole unit of apartment or houses(staying alone because my family not with me at JB) , because i didn’t see anyone post their ‘home staying feedback in JB as reference for foreigner who are staying alone and don’t like noisy environtment’, so i think i should say something at here, if u r giving me this permission, thanks. A。 i’ve been staying in Bayu Puteri Apartment 3 – the security there is not so well, i’ve been park my car at my own parking slot, but still experience my car tyre being 弄破; there is one thing that i can say good about the apartment building: at least the building apartment’s wall 不像其它我住过的建筑物‘偷工减料’，墙壁隔音算良好。 B。I’ve been staying in Mount Austin double storey house opposite the sunway college – security there is quite nice and friendly, 隔音也没有偷工减料。C。I’ve been staying in Jalan Kuning, Pelangi, the feng shui there is not good, 房内有梁，屋后有树，agent aunty still introducing me to rent there. i stay there for one month only then i move out because i sense i’m not comfy staying there. D。Prima Regency – as what you have posted above, very good in secure management, and quiet environtment too, just a little expensive for me because i’m staying alone. E。 Permas Jaya – once meet with foreign neighbour, bad neighbour family or member i thought who come from thailand or 缅甸, they have a small dog but just leave their dog crying (dog sound very disturbing, but it’s not like usuall barking) at the backyard near the kitchen. and like to have ‘member party’ untill midnight 3am on weekday. (a piece of advice: dont find a place to stay such as neighbour with dog, also take note what kind of neighbour that stay beside you.) F。Jalan Nibong Tmn Daya – 破财风水屋，不信者应该没事。房间墙身隔音非常的差，除非自己花钱装修，租住者就建议搬家好了。eventhough the house big enough but ‘对我来说，属偷工减料型’ 。 If anyone got any rent house experience please send to my mailbox: vip701866@gmail.com, appreciate if anyone can share with me, thanks. Hi! Anyone has any comment on Vista Heights condo near Thistle Hotel? Thinking of buying a unit. Many thanks! Is there anyone giving me some comment on Stulang villa and Stulang View Condo? 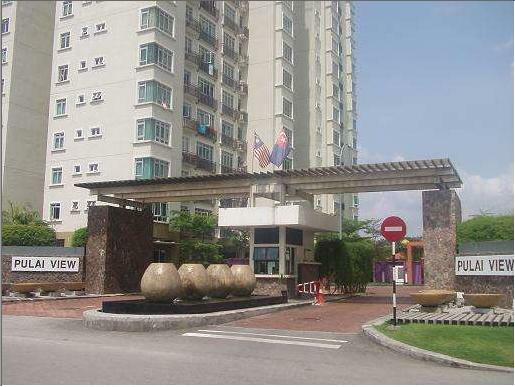 Generally Stulang View Condo is strategically located in the matured residential/commercial area in JB. Just minute to CIQ. Very high occupacy rate and units for sale is rare. Anyone know what will become of the abandoned Kemayan City in JB? Hi I am looking for Stulang View Condo, Pls contact me at mshe@streamyx.com. Looking for condo in Sri Mulia or Adamai Luxury to buy for my own stay. Tebrau City – those who think Tebray city is new but there is lot of building maintaince problems with ceiing cracks, wall cracks and other building issues. the carparks are dirty with rainwater remain on ground and mosquito breading and i also heard its not at all safe for people to walk out at night. many residensts who have moved in has moved out within 6 months and people always think why? For those asking about Stulang Tanjung Puteri condo, here is my 2 cents: I have stayed there for more than 1 year during 2003-2004. That place is known as “mistress village”; many China dolls around. 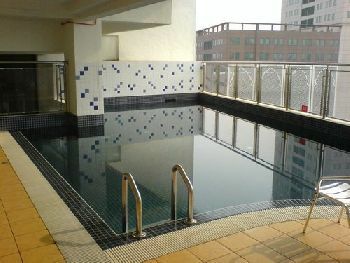 The swimming pool is a joke (probably can rival the Embassy suite’s pool mentioned in this article). Security wise: no comment. But this place doesn’t seem to have a lot of family type of tenants. So if you are planning to settle there with your family, not sure if it’s a good idea. Mr Ongkl appears to be an extremely helpful & magnanimous person….hard to find! All the best to him & to those who have benefitted from his knowledgeable advice. 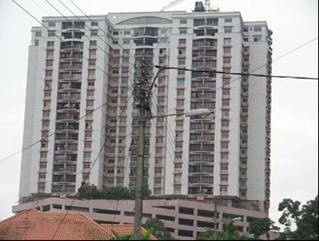 Anybody know near the tampoi, there got a apartment called mewah view luxurious apartment. May I know regarding the apartment isn’t a good location for investment & the apartment can rental out how much per month? Appreaciated if your can provide more information for my consideration to confirm the deal..
Hi… Guys … its the larkin heights good investment? 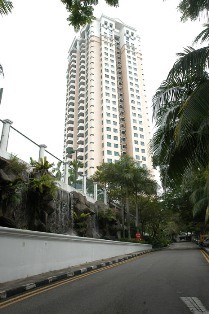 I recently bought a serviced apartment at Austin Suite by Mahsing at about RM 405 / ft2. I bought the 2 bedroom units at 14 floor – 906 ft2, facing east. Anyone has any opinion on Seasons Luxurious Apt? Due to complete in 2015. Dato’ Lee Chong Wei owns bought one unit there. Hii. 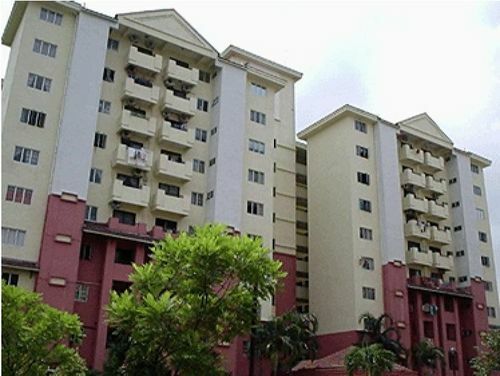 Anyone interest to buy larkin heights apartment.. ? What is the size and other details of your units? Anyone knows about vista height?? How’s it?? Worth buying for own stay??? great location ! but the last I know was that the management is not doing a good job (e.g. the swimming pool is dirty and abandoned-like). but looks like lately they repaint the whole apartment. well, not bad all in all, but depends on price. last year i think it was transacted at about rm250k. Hi Ong, how do you think Persiaran tanjung condominium at taman bukit alif. Izit worth to buy at price 165K for investment and self stay?? Hello. 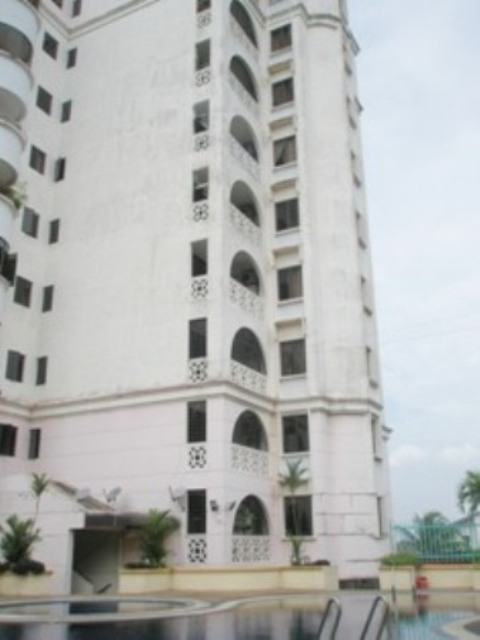 I am interested in Stulang View condo for it’s convenient location but it looks old. Anyone know how old is this condo? This Condo is 15+ years old, paint was quite old but repainted last year, more look very nice. Its a great location for food transport supermarket, banks, church, mosque, schools, everything is within walking distance. Great for families that don’t have or don’t need a 2nd car at home. Security is great. maintenance is good.recently they’re collecting money to change the lifts, cos the lifts look a bit dated and old, although in good working condition. I think it will do a lot for the image of the place. I love the fact that it is close to amenities yet its very quiet n serene inside the compound. Resort like feel to it. Other condos in abdul samad area, you need a car to go around get food etc. Hi, anyone knows about this pelita indah condo at naer Wadi Hana? Is it good for investment? Heard that it is going to upgrade and do up the building..Thanks! Anyone here has unit at the Sky Executive Condo Bukit Indah for sale?